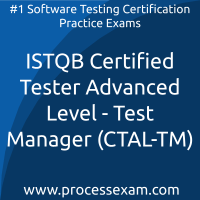 Processexam premium acted like my tutor throughout the entire preparation for ISTQB Certified Tester Advanced Level - Test Manager certification exam. I gave the CTAL-TM Practice Tests after every chapter to understand whether i was doing good or not. It gave me the real-time understanding of where i was going and what should i do. Step by step, i succeeded in achieving my target and did it in actual exam also. 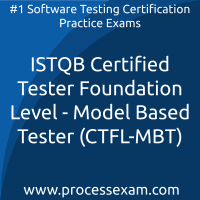 I went numb with happiness when I saw the result of ISTQB Certified Tester Foundation Level - Model Based Tester Exam. Processexam.com i cannot thank you enough. My entire family is proud of me. 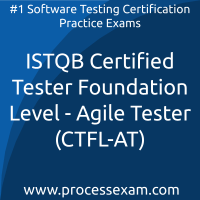 I am a perfectionist and did not know what to do when i was not getting a good site to practice for ISTQB Certified Tester - Foundation Level (CTFL) exam certification. Then, somebody referred me to this site. 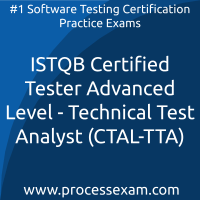 Seriously, it is awesome for ISTQB CTFL mock test practice. I paid the fee and became a premium member. 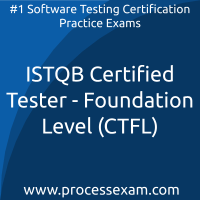 I got success in ISTQB CTFL exam with 81%. Yippee!!! I was very lazy prior to ISTQB CTAL-TA happened. 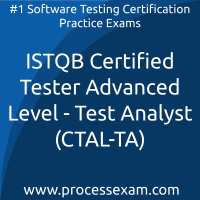 But by subscribing to be a premium member of paid online CTAL-TA Practice tests, I had to change my lifestyle and fit in the required practice for ISTQB Test Analyst. This made me quite organized and made me stick to time as it helped me solve more and more mock tests, day in and day out.